Oh, I love me some Harry Potter. The oldest DD was exactly the right age when the first book debuted in America, and I remember lovely evenings reading it to her before bed. 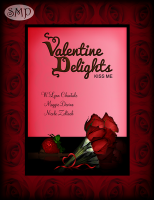 We’d agree that I would read one chapter, then, when I got to the end of it, we would look at each other sheepishly, grin, and say together “One more?” Then we’d giggle and I’d read one more. When the movies started, I thought that the kids they cast were just absolutely adorable, and perfect for the parts. Who knew that they would grow up to be so absolutely gorgeous? Seriously, if you look at Neville Longbottom (Matthew Lewis) in the first HP movie as compared to now, you will believe in magic. There’s no other explanation. And there is one look that always makes me weak in the knees, even though many of you don’t find it attractive — I love me some ginger. Whether it is Prince Harry (naughty lad!) or Mac McCaine, the hero of my most recent book, a good looking redhead is my weakness. So you know that dear little Rupert Grint, aka Ron Weasley, was a favorite of mine from the beginning of the HP movies. Nowadays, our dear Rupert has grown into quite the young man, and I expect great things from him in future movies. But you may not have been aware that he is actually the reincarnation of a redheaded Regency buck worthy of a romance novel all his own. Here he is, my dears. 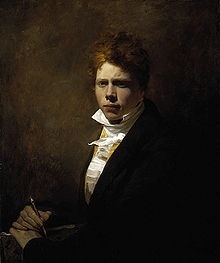 You tell me — is Rupert Grint the reincarnation of 19th Century Scottish Artist Sir David Wilkie, or what? I want to pause a moment and be serious here. (yes, occasionally Ro’mama can calm down and be sincere.) This week saw the passing of a truly lovely gentleman, and God knows, we have far too few of those. 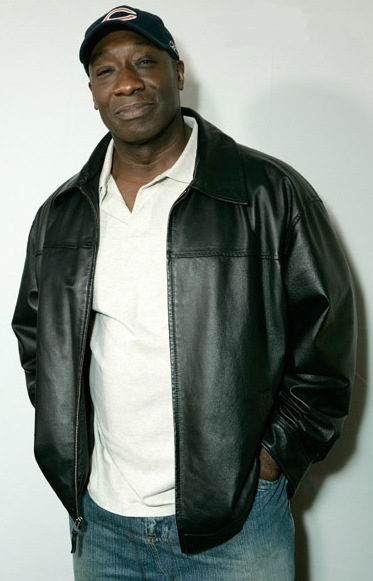 Let’s please take a moment to remember Michael Clarke Duncan, a gentle giant and a hell of a fine actor. Michael, we loved you. Rest in peace, dear heart. Well, Ro’mama has been in a bit of a quandary, my little doves. Y’all know how much I love me some good old-fashioned pictures of attractive gentlemen, often taken in close proximity to water — beach shots, bathtub shots, caught-in-the-rain shots, and the ever-popular just plain sweaty shots. But alas, it has been rather strongly brought to my attention that I was being a bit fast and loose with the sources of those lovely pictures. I had been hanging my little hat on the fact that I was not using the shots to make money and on my taking down any picture upon being asked. Fair use, and all that. And, with my steel-trap legal mind, I still think all that is a good argument against an allegation of copyright infringement. BUT … (and, like my own, it’s a big but) If I want people to respect my hard work and creativity, I can’t very well go around poaching on theirs. What goes around, comes around, karma is only a b!tch if you are, and so forth. I can imagine my reaction if some book pirate was handing out free downloads of Proof of Love and he tried to tell me it wasn’t technically violating my copyright. So, I am declaring a moratorium on the hot, wet photos of current celebrities, unless I am sure they are in the public domain or I have permission to post them. I know, but try to cope. Henceforth, I will be picking up on the theme established by my Sizzlin’ Sister, Ms. Rita Bay, and will bring you a more historical approach to hot guys. (Oh, seriously, you didn’t think I wouldn’t be talking about hot guys? This is Ro’mama you’re dealing with!) I will be trying — and maybe occasionally succeeding — at telling you about some of the legendary hot men of history. Not competing with Sister Rita, but more a complement to her posts. I mean, the more we can talk about attractive gentlemen, the better, right? Today, August 1, 2012, is an important date in history, though I doubt you will hear much about it. This is the 178th anniversary of the abolition of slavery in most of the British Empire, which in many ways was a watershed moment in Western Civilization. The British had built their empire, after all, on the “Triangle Trade” which hinged on slavery and sugar/rum. Oh, Lord, how the money poured into Merry Olde England while the slave ships were sailing! In spite of determined, often violent, opposition, however, the Society for Effecting the Abolition of the Slave Trade achieved their goal with the passage of the Slavery Abolition Act of 1833, which became effective August 1, 1834. So that’s the history. What about the hunk? I would like to introduce you to one of my favorite figures from British history, a merchant’s son from Yorkshire named William Wilberforce. 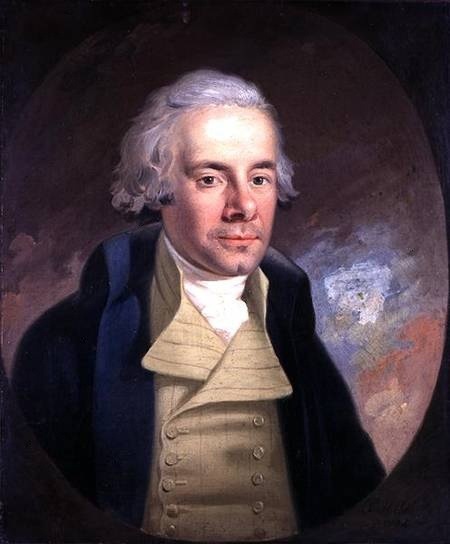 Mr. Wilberforce took his conversion to Christianity seriously. So seriously, in fact, that he became the driving Parliamentary force in freeing his fellow man. Now, in my book, a gentleman who can tell right from wrong (even though everyone seems to disagree with him) and who will go to extreme lengths to protect the less fortunate is a hero. William Wilberforce is the epitome of the passionate English gentleman. And his relationship with his wife, Barbara Spooner, is a true-life romance. His story is told, much more effectively, in the movie, Amazing Grace, which you should watch as soon as possible. I am that rara avis in terris, a native Floridian. Not just a native, but in at least one strand of my lineage, a sixth-generation Floridian. In the land of retirees and military stations, there aren’t very many of us. And on behalf of the couple of dozen of us who consider the Sunshine State to be our ancestral home, let me tell y’all: we are getting tired of this. Casey Anthony, George Zimmerman, the face-eating zombie … None of the morons who have gotten their fifteen minutes of fame lately represent the Florida I know and love. Go all the way back to the days of the hanging chads (remember those?) and you can see that the media feeds on stuff that makes my state look ridiculous. So, in light of my recent excursion to watch a gripping dramatization of the lengths to which young men must go to make a living in this economy (aka Magic Mike), I thought I would give you an example of my Florida. Remember, this is the land of football, beaches, and military guys. That’s why true Floridians know that our best home-grown product isn’t citrus or strawberries – its the Boys from Old Florida. 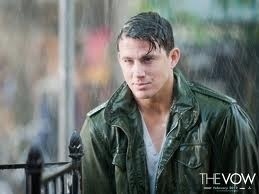 Without further ado, I give you the Pride of Tampa, Mr Channing Tatum! Back to water-soaked gentlemen this Wednesday. I know, control your disappointment. So, no. Not a great movie. Sense & Sensibility and The King’s Speech need not fear the loss of my affections. I just saved you 9 bucks. Make your own popcorn. when he came to Hollywood, he got repeatedly got cast as villains and thugs. And as y’all know, villains and thugs are some of my favorite people (at least the brooding, sinister movie versions). He was a psycho-killer in a fairly forgettable movie called Reason to Die, a baddie in the kid’s movie Agent Cody Banks, and so forth. 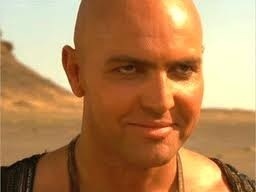 But he reached his pinnacle of evil hotness in The Mummy. 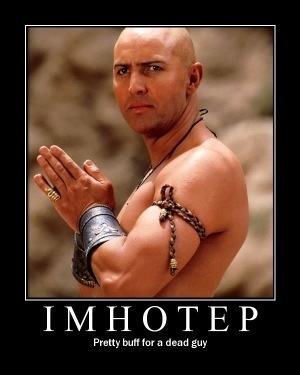 Sure, Brendan Fraser was cute, but c’mon – didn’t you really want a chance at Imhotep? 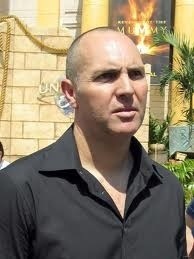 Here he is – your Badurday Boy, Mr. Arnold Vosloo! Have a Sizzling Fourth of July! This Independence Day was made possible by the sacrifice of the US Armed Forces. Thank a military man today!